The Grand Prix is available in six colours, including four types of wood: oak, beech, walnut and rosewood. The Grand Prix is an. It would look great in the kitchen or at the dining table. Why not mix and match on colours for a unique personalised feel. Jacobsen’s Grand Prix Chair was first introduced in 1957 by Fritz Hansen at the Designers’ Spring Exhibition at the Danish Museum of Art & Design in Copenhagen. Jacobsen and Hansen had worked together before, with their partnership dating back to as early as 1934. It got its name after winning the Grand Prix at the Triennale di Milano in 1957. 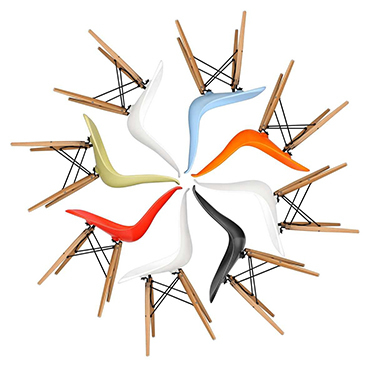 It followed on the heels of the successes of the Ant Chair in 1952 and the Series 7 Chair in 1955, the Grand Prix was considered an updated version as it had a similar design with wooden legs.